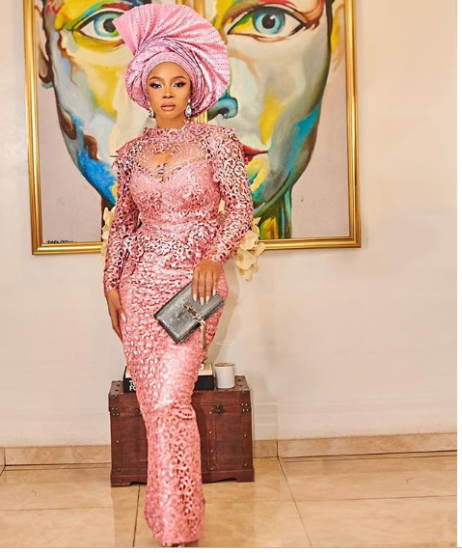 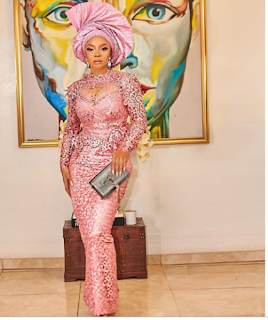 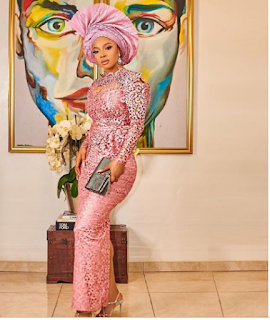 OAP Toke Makinwa as expected slayed her way through the wedding of Mo Abudu’s daughter Temidayo. 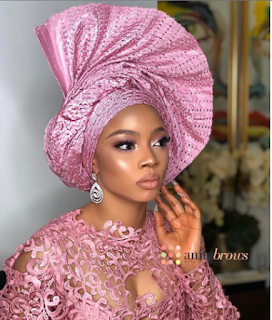 Temidayo who got hitched to her man Debol Makanjuola, in a traditional ceremony held at Oriental hotel yesterday had many celebrities storm the event to show their love. Toke was one of the many celebrities who attended the wedding ceremony and she looked gorgeous in her aso-ebi.